Warning: thrill seekers only! 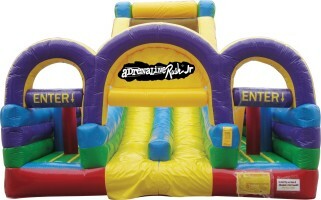 The Adrenaline Rush Jr. is an inflatable obstacle course that will keep your heart pumping as you make your way through it. Compete with your friends by seeing who is able to reach the bottom of the slide in the fastest time.